Kathleen Reed from VoIPon Solutions had the recent pleasure of interviewing Peter Walshe, Head of UK Sales from Gigaset Communications. Kathleen and Peter discussed many areas from the companies re-branding from Siemens Gigaset to Gigaset, why should VoIPon customers purchase Gigaset over other rival products and does Gigaset have any plans to develop a DECT intercom system to replace the discontinued Gigaset HC450. They also take a look forward to what we can expect in terms of new products from Gigaset in 2013. Listen to the Podcast and see the full transcript below. VoIPon: Since the re-branding from Siemens Gigaset to Gigaset, how has the company found the transition and what impact has this had? Peter Walshe, Gigaset: The Gigaset brand has been a strong brand throughout Europe. The Siemens element of the branding was part of a trade marketing agreement that we’ve had with Siemens for three years – so we’ve had three years (now, four years) to really make a push with the Gigaset brand solely in all of our markets, but particularly in the UK. As a result of that, we’re showing very strong growth in the UK, particularly on the consumer Gigaset DECT side, in the retail sector for home users. Although, as we know, the products are not just used by home users but for businesses. We’ve seen very, very strong growth this year, so it’s all going in the right direction. In fact, this year is the first year that we’re actually (according to GFK who have collected the end point of sales information) now into double digit market share, which is putting Gigaset in the consumer spaces. We’re the Number 3 brand throughout the UK, which is very encouraging. The Gigaset PRO brand, a sub-brand of Gigaset in general is a relatively new brand. The PRO brand was only launched just over 12 months ago and has been rolling up steadily across the rest of Europe. We have seen steady growth and interest with the PRO brand as well – but overall, the transition has been successful, certainly in my opinion. We’re continuing to try and strengthen the brand across all of our markets – I mean, particularly with the Gigaset PRO brand into the new bigger B2B markets that we’re now focusing on. 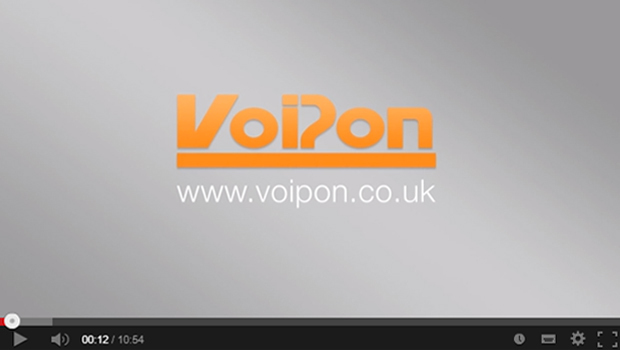 VoIPon: What industry do you find the Gigaset range of VoIP Phones and Wireless IP Phones are most popular? Peter Walshe, Gigaset: Okay, well, I guess our strongest market in the UK has been the service provider sector. Our products are very popular. Very easy to deploy the range of Gigaset Dect Wireless IP Phone Handsets that go with the Gigaset Dect Servers and Repeaters bases and, of course, the range of products… It’s difficult to say, I suppose, because with the new, extended range (and particularly the PRO branded products) because it is relatively new in the market, it’s difficult to say across which and outside of the social wide sector, which particular markets and products are most popular in. However, we have seen very strong interest on the retail sector, where retail organizations have been deploying cordless in the stores to link into their corporate IP telephony networks – then, using the largest multi-sales solution, the Gigaset N720 DM PRO – DECT manager and Gigaset N720 IP PRO Base Station for larger office environments to the warehouse and distribution centres We’re seeing a strong demand in that particular sector, for sure. Then, in the small business sector in SOHO it’s very popular. 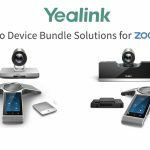 I guess, the cordless telephony in general is widely accepted within the home, with the growth of teleworking, home working and small businesses based at home. Those type of users adopting the IP side of it, so that they have extra choice for their telephony calling – and I guess, in some respect, it’s just an extension of what they’ve been used to from their home use but they’ve just adopted into the business side of things. VoIPon: Okay, thank you so much for that. 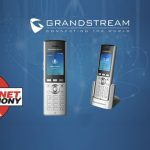 Now, with the other IP DECT phones in the industry, why should VoIPon customers purchase Gigaset, over other products such as Polycom Kirk, Astra L32/ Astra L34, Panasonic Wireless IP phones, RTX range, and Snom M9R DECT IP Phone? Peter Walshe, Gigaset: That is a very good question. I guess, in some respects, it falls really into the core sweet spot for Gigaset. Gigaset has been built (and the Gigaset brand is being built) around cordless telephony. Yes, of course, our real core business where we generate most of our revenue as an organization is from the consumer sector. We’ve had products into the market since 2005 – and in fact, we, Gigaset, were the first to introduce a small business, consumer warranted PC off device that supported SIP and PSTN. Today, we’re now into 3rd generation of that entry-level product. With the entry-level products and mid-range and then our own 720 IP PRO multicell solution, we’ve probably got the widest breadth of product portfolio, targeting the singular user up to 100-user market, which falls in line with the rest of our core directions for targeting and supporting products for the single users, small businesses, essentially a sector up to 100 users. I guess, the other area – because of our heritage and pedigree within the DECT sector – we’ve got great breadth and depth of experience for developing the technology, but not only developing the technology but designing great products. We have a lot of experience – of our customers, our resellers, our service provider customers and distributors all saying the one thing that Gigaset does really well is deliver a great-looking product. Because of the wide range and breadth of handsets that are supported across the overall product range, it gives a great deal of choice for, ultimately, the end customer and gives resellers lots of options for offering different products and different solutions to their customers, depending upon whether it’s look and feel, performance, quality, price, or a combination of all of those elements. I think the N720 is a relatively new product, as it was only launched in March-April of this year. It’s just a natural extension of that portfolio range. The software suite that fits within our product is pretty much common to all of our Gigaset DECT IP Phones and Repeaters. It’s even included in the Gigaset N510 IP PRO base station, which is a sort of hybrid product that sits on the desk but is still effectively and IP DECT. It has the IP DECT basically built-in and offers the same cordless functionality for business users, the same element in some using the higher-end solutions or the entry-level Gigaset N300IP. I think, with our core knowledge, our core experience, our great design ability for great-looking products that actually do what they’re meant to do, the range of products and also price points, well, I certainly believe that we have the best products in the market and offering for the likes of VoIPon to support for your partners and your end customers in the market, certainly for the, as I’ve said earlier, the multi, 100-user market. VoIPon: Okay, great answer. Many of VoIPon’s customers have continued to ask about the discontinued Siemens Gigaset HC450 intercom system. 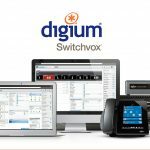 Does Gigaset have any plans to develop a DECT intercom system again, in the near future? Peter Walshe, Gigaset: That again is a good question. It’s unfortunate, the HC450 as you’ve rightly mentioned was a very popular product – and it was just unfortunate that our partners that we’ve worked to bring the product to market with just went out of business, and we were unable to continue to source that particular product. The way that we’re restructuring our business at the moment (and I’m coming to that in more detail later on) – we are creating a business unit that is specifically focused towards home networks. As yet though, it’s unclear what the full product portfolio will be… so it’s possible that within that business unit, a similar type of product may come to market. 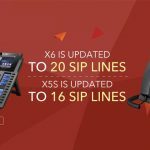 Within the B2B business unit, which is responsible for the Gigaset PRO line, at this particular point in time, most of our products are very much SIP oriented. We don’t currently have a SIP direct link system – but one of the things we do ensure is, through intra-operability testing, that our products do work with many other products on the market. I know that for VoIPon, you do offer SIP-based door entry systems and products like the Gigaset DE700 and Gigaset DE900 IP PRO VoIP Phone , which are Gigaset SIP desktop phones. They’re able to display real-time video onto the display of the handset and, therefore, if you’ve got a SIP door entry systems, you can drive them from the desktop phone and also be able to see (if it’s a video-based product) who’s actually at the door. It’s difficult to assert at this time how the portfolio on that side will develop over time. But certainly, we’ve put a lot of effort into making sure that for manufacturers of products that are in the market today and for our distribution partners that our products do interoperate, so that your partners can then offer a complete solution to the customer base. VoIPon: Okay, fair enough. So what’s next for Gigaset and what can we expect in terms of any new products for 2013? All right. That again is a very good question. I think there are two key things going on: Currently, Gigaset is going through re-organising the business. This I guess is a part of an activity that’s been going on since Gigaset Communications was first brought to market as a standalone business. As a result of the re-organisation, there will be three distinct lines of business. The first will be the Consumer DECT business, which will focus and concentrate on our core consumer DECT product lines. That is our core bread and butter for today and has been for many, many years. That is a big area of focus for our organization. Of course, with Gigaset PRO – that’s our second line of business, within our B2B organization, focusing on billing products and solutions to market for all types of markets and all types of partners, whether it be service providers or resellers, based around traditional (well, I would say traditional but becoming more and more mainstream) SIP-based, IP telephony products, whether they’re SIP end points, IP PBXs, of course, the cordless and Gigaset wireless IP DECT products. Then, as I’ve mentioned earlier, the home networks business which is very, very new within the organization structure. We’re waiting to see how the portfolio will pan out and how that portfolio will be brought to market. From a product perspective for 2013, for the B2B sector, we’ve got a lot of development going on at the moment and we will be bringing up new products for 2013. We’re just launching and, by January, we will have in the market an extended range of Gigaset PRO branded cordless handsets and probably just the Gigaset SL610. But over the next couple of months, we will introduce a ruggedised version called the Gigaset R410 and also a business class product called the Gigaset S510H DECT Pro Handset. It then offers resellers the opportunity to access PRO-specific products that truly interoperate. They would have many of the other handsets with their IP DECT band proposition. But of course, from a reseller’s perspective, the advantage with these products is that they will be offered exclusively into the B2B reseller channels. These products will not appear in our traditional retailer/e-tail market. We are extending the DECT range as well to introduce a new desktop DECT product. Where we have the Gigaset DX800A All-In-One IP Phone today which is a desktop SIP phone, we’ve integrated a DECT base station – the new product will actually effectively be a DECT client, so it will be a desktop based DECT phone for environments like retail, hospitality, car dealership and that sort of thing, where you may have only limited connectivity. All you’ll need is a power socket and then the desktop phone will register back to any of the Gigaset PRO DECT based stations. That means, if you’ve got a front of house station, a car dealership receptionist, then, they’ll be able to use and have the same functionality within that Gigaset wireless infrastructure. We’re also bringing out a new touch screen Android-based videophone, which will be introduced towards the latter end of 2013, which will be introduced as part of the SIP desktop product line. That will also include a DECT handset – so the actual handset to it will not be physically attached, as with our current DA phones. We presented the product at IFA at Berlin in August. That product got a lot of attention from a lot of our partners and new potential customers, so we’re very excited about that product. Then, at an entry-level, we’re introducing a wall-mounted phone. It will be called the Gigaset DA200, I think. 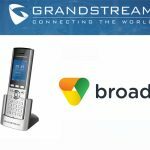 We’re effectively extending the portfolio of desktop SIP phones to offer a lower cost, entry-level product right up to high-end. It’s about £400-£500 price point products, as well. Then, of course, we’re extending the feature set within our products. There are a lot of developments going on at the moment for the N720 that, although it’s a relatively new product and launched early this year, we will be extending the feature sets within that product in order to support more and more corporate PBX type functionality and also potentially looking at extending the capacity of the products, when the products support redundancy and all sorts of other features. Those sorts of features are being built into our regular development roadmap, but I think, the core new products next year, with the current range new products, will certainly be introduced next year. The Gigaset PRO offering for all of our customers will be a very compelling offer in the market. VoIPon: Okay. Thank you so much for your time today, Peter. You’ve been very informative. Peter Walshe, Gigaset: It’s a pleasure. VoIPon: Wonderful. Peter Walshe is Gigaset’s Head of Sales, responsible for the UK. This has been a VoIPon, VoIP Uncovered podcast, brought to you by VoIPon Solutions. For more information, please visit www.voipon.co.uk.